Local and international companies and brands that are considered leaders in the fields of welding and manufacturing of steel and metal will take part in the upcoming SteelFab 2019, the region’s premier metal working event in Sharjah, UAE. The exhibition will begin on January 14 at Expo Centre Sharjah and conclude on January 17, reported state news agency Wam. 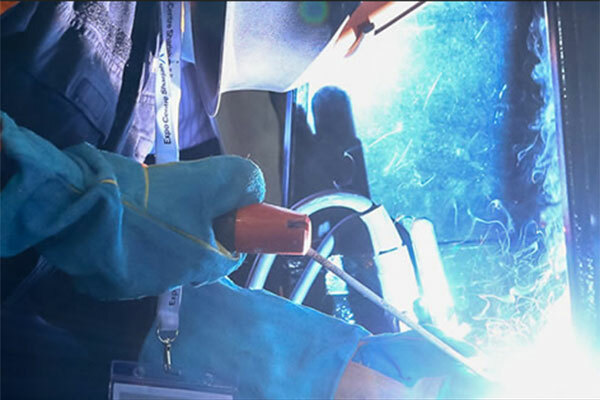 The event will bring together more than 300 companies, representing some of the world's leading manufacturers and suppliers, who will showcase the latest innovations belonging to more than 1,000 brands that specialise in welding, cutting, grinding, pipe and tube machinery, and other technologies and solutions. Some of the most prominent new exhibitors at include Adige and Intercom SRL from Italy, Inovatools Eckerle and Ertel and Corodur Fulldraht from Germany, EP Inglobe from France, and Active Safety from Pakistan. Some of the prominent new exhibitors from India include KSW India Private Limited, Phillips Machine Tools India, Salem Stainless Steel Suppliers, Swan Aluminiums, and Comi Heavy Equipment Repairing. The event will also include the first-time participation of a number of local and international companies that operate in the country, including Blades International, Kawasaki Heavy Industries Middle East, Middle East Precision Regrind, and Tyrolit Middle East. Saif Mohammed Al Midfa, CEO of Expo Centre Sharjah, stated that the event has succeeded in attracting a large number of prominent local and international companies and brands who are leaders in the fields of welding and machinery for steel and metal. The international firms are from Germany, Italy, United Kingdom, UK, Turkey, Taiwan, India and China, as well as other European and North American countries. Al Midfa remarked that the increasing number of exhibitors from year to year will provide a wider variety of the latest products and advanced solutions, and promote competition between exhibitors which will benefit the end-users of the region. There will be a new pavilion representing the UK for the first time, which includes the participation of some important British manufacturers. The exhibition will also host a number of other national pavilions from prominent countries such as Italy, China, India, Taiwan and Turkey, in addition to the official German Pavilion, which will participate in the event for the second time in a row and will include 13 German companies.